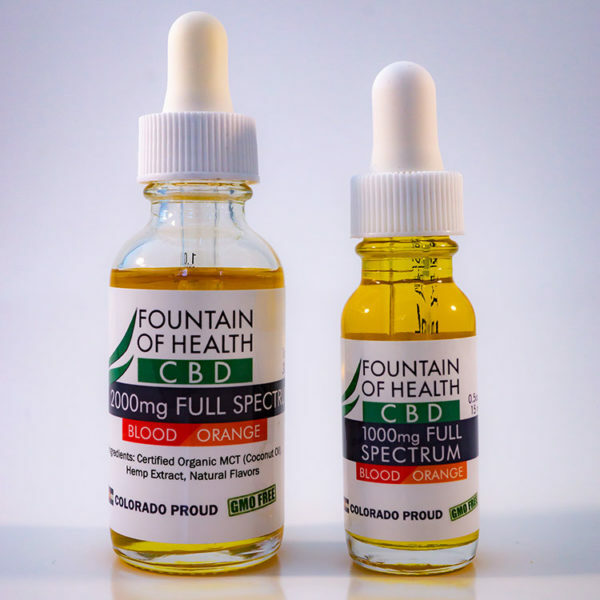 Full spectrum Blood Orange CBD Oil processed from Colorado grown, all natural hemp. The one ounce bottle holds 2,000 mg CBD and the 1/2 ounce bottle contains 1,000 mg CBD. With natural blood orange flavors for subtle, yet, distinctive flavor. Please keep away from children. Tried the mango from a friend’s recommendation and it is great! I can’t taste the earthy bitterness like the original flavorless CBD oil has. I am a mother of 5 kids under 10 so I don’t get much sleep…after 1 small dose before bed, my nightmares were gone and the sleep I got was more restful. I purchased 2 other small bottles to share with my in laws and parents for inflammation and arthritis issues. I was on a very strong NSAID for several years as part of treatment for psoriatic arthritis that was wrecking my stomach. 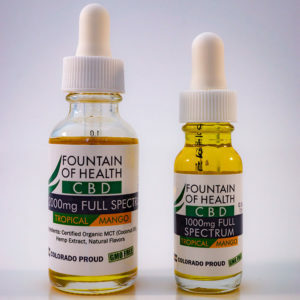 I tried a different CBD oil, which helped, but was not nearly as concentrated as Fountain of Health. 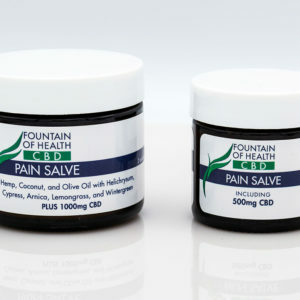 I am a few weeks into using the Fountain of Health CBD oil and am off the NSAIDs completely. My pain and inflammation is controlled and my stomach is healing. As a bonus, I love the noticeable herbal flavor and the light oil used. Great product! This has changed my life. I use it in place of several prescription medications that I should have been on. I would much rather use this natural product instead of pharmaceutical over prescribed meds. It is great for insomnia, cramps, migraines, stomach aches and nausea. It works wonder for my anxiety! Every time I get a chance recommend this oil to other people. Been using this in conjunction with an Rx medicine to treat depression. It definitely helps provide a calm feeling and I believe it’s beneficial to my mental health. I like this flavor, mint is not my thing. After seeing CBD oil (from a different brand) have some positive effects on my family member, I wanted to try it for me. I decided to buy from Fountain of Health because I like KNOWING where and how the product is made. Since I know people who personally know the growers of the hemp used in FoH CBD oil, I knew I could trust the plants and the process. Plus, FoH makes a product that is much more affordable than other brand leaders. I initially started taking FoH CBD oil sporadically. I would take it for some shoulder pain I was suffering from. I would take it when anxiety would strike me. I would take it when my children had been screaming and fighting all day. Every time I took it, I noticed a difference. The real miracle came after 6 weeks of daily use. I am much calmer. I feel more in control of my emotions, and more at peace with the day-to-day trials and tribulations that I cannot control. I was even able to wean off of all of my prescription anxiety medications and anti-depressants! Also, my ASD family member has fewer meltdowns and significantly less noticeable anxiety. Fountain of Health has really helped our entire family. With my anxiety reduced, and my family member’s meltdowns less frequent, we are a more cohesive family. There are fewer family squabbles and, in general, we get along better. I know that we have FoH to thank for that! I’ve tried this both for my family member for ADD and for myself for menopausal symptoms. My family member usually calms down right away after taking the drops so I would definitely recommend this as an option for ADD. I find some relief from hot flashes, although they never really stop. However, since taking the CBD oil, I find the mood swings that I had been experiencing were gone. Typically we use 7 drops, 3x a day. This product has helped my husband so much in dealing with the nerve pain associated with […]. So thankful for this product! Been using Fountain of Health CBD for 4 months before going to bed. I sleep much better than before, thereby having lots more energy the next day! I tried other brands, FOH is cleaner and more potent by far. I’ve recommended it to others who have expressed to me they helped with […], and pets with arthritis. Great product. I will definitely order again. I have also suggested this to my Aunt and father. 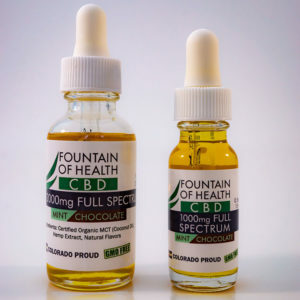 I have been using Fountain of Health CBD oil for my family member for a few years. This weekend I fell down stairs and broke my ankle in two places. It happened on a Sunday and I wanted to avoid the ER. I initially used Motrin, after 1.5h I had no pain relief – pain was still an 8 on a 1-10 scale. I remembered the CBD; mixed it in coconut oil and applied it to my entire ankle …. within 20 my pain went from an 8 to a 2!!! I actually slept through the night!! It was MIRACULOUS!!! I plan on using it through my surgery and recovery!! I have not taken any other pain meds! 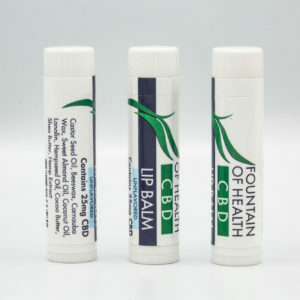 We’ve been using CBD on and of for a while for […]. Before we started using it he was violent, would have explosive meltdowns and often unintentionally hurt his sister and I. He was angry, he’d throw things, hit, bite, punch, etc and he rarely understood why. He couldn’t concentrate, he couldn’t focus on one thing at a time, and he struggled with getting anything done. 3 days of using CBD and I had my boy back. I had my happy, calm, not violent little boy again. He could focus, he could even sit through a full family meal. It was crazy the difference it made! I don’t know where we’d be without CBD. He’s been on it for about a year now probably and has been absolutely thriving on it. I cannot express how happy it makes me to hear of your, and your family member’s, success. Thank you so much for brightening our day! I wish you continued success! I just wanted to let you know that I have been using your product since 11/2017, 5 months and have had the most amazing results. I only take otc meds once or twice a month now instead of several times a day for arthritis and other health issues, additionally I have completely stopped all Rx medicine. I am so very thankful for your product as well as my family and doctors. Your oil is the best we have found on the market. I have suffered greatly for years and my quality of life is better now than 5 years ago which is wonderful!! Thank you so very much for a wonderful product! Please don’t ever change your formula!! Blood Orange is my favorite flavor. I started with 15 drops 2-3 times a day; now I take 15-20 drops 2-5 times a day. I take more on the days that I am more active to prevent a flare up! I have recommended your product to many friends and family, many who have also started using your products! Update: I have been taking this since 11-2017 and after a year I can finally say I have had pain free days! Found out in October 2018 my inflammation markers were over 7 when they should be under 1. The doctors can not pin point why however now they are a 5! I have faith this will continue to help! THANKS!! Your oil has changed my life. Chronic pain, COPD and recovering from a broken hip this past year drove me to desperation. Several people recommended FOY CBD oil. I purchased in December 2018. Some days I don’t notice any pain. I’m sick less and sleep better than I have in 30 years. I am experiencing much less stiffness in my lower back. I’m sleeping much better too. The flavor is great, and I notice no side effects, it’s only what I don’t feel anymore! I will use this every day since this is the result. Thank you for making and distributing this amazing product. It truly makes life better. The Full Spectrum CBD in blood orange flavor has been a tremendous help. I use it with my night time ritual to fall asleep and stay asleep. It is calming and the natural flavor, lovely. I’m truly grateful for this tincture. I like how I know the “ml” servings per bottle and that it’s CO2 extracted in coconut oil. Even more so, I value that FoH is start to finish with their awesome products! Full spectrum Blood Orange CBD Oil processed from Colorado grown, all natural hemp. The one ounce bottle holds 2,000 mg CBD and the 1/2 ounce bottle contains 1,000 mg CBD. In 1 ounce or 1/2 ounce jars with child proof caps or regular caps.